The old age is gone, and the new age has come. Year after year and day after day, God has done much work. He came into the world and then in turn departed. Such a cycle has continued on through many generations. This day, God continues to do as before the work that He must, the work that He has yet to complete, for to this day He has yet to enter into rest. From the time of creation to this day, God has done much work, but did you know that the work God does this day is much more than before and the scale much greater? This is why I say that God has done a great thing among men. All of God’s work is very important, be it to man or to God, for every item of His work is related to man. Since the work of God can neither be seen nor felt, much less can it be seen by the world, then how can it be something great? What manner of thing is considered great? Certainly none can deny that all the work of God can be deemed to be great, but why do I say that the work God does this day is so? When I say that God has done a great thing, this undoubtedly involves many mysteries that man has yet to understand. Let us speak of them now. Jesus was born in a manger in a time that could not tolerate His existence, but the world still could not stand in His way, and He lived among men for thirty-three years under the care of God. In those many years of life, He experienced the bitterness of the world and tasted the life of misery on earth. He undertook the heavy responsibility of being crucified to redeem all mankind. He redeemed all the sinners who had been living under the domain of Satan, and finally, His resurrected body returned to His resting place. Now the new work of God has begun, and it is also the beginning of a new age. God brings to His house those redeemed to begin His new work of salvation. This time, the work of salvation is more thorough than in times past. It will not be done by the Holy Spirit working in man to allow him to change on his own, nor will it be done through the body of Jesus appearing among men, and least of all will it be done in another manner. Rather, the work will be done and steered by God incarnate Himself. This is done in order to lead man into the new work. Is this not a great thing? God does not do this work through a part of men or through prophecies, but by God Himself. Some may say that this is not a great thing and that it cannot bring man ecstasy. Nonetheless, I will say to you that the work of God is not merely this, but something much greater and much more. This time, God comes to do work not in a spiritual body but in a very ordinary one. Not only is it the body of God’s second incarnation, but also the body in which God returns. It is a very ordinary flesh. In Him, you cannot see anything that is different from others, but you can receive from Him the truths you have never heard before. This insignificant flesh is the embodiment of all the words of truth from God, that which undertakes God’s work in the last days, and an expression of the whole of God’s disposition for man to come to know. Did you not desire greatly to see the God in heaven? Did you not desire greatly to understand the God in heaven? Did you not desire greatly to see the destination of mankind? He will tell you all these secrets that no man has been able to tell you, and He will even tell you of the truths that you do not understand. He is your gate into the kingdom, and your guide into the new age. Such an ordinary flesh holds many unfathomable mysteries. His deeds may be inscrutable to you, but the goal of all the work He does is sufficient for you to see that He is not a simple flesh as man believes. For He represents the will of God as well as the care shown by God toward mankind in the last days. Though you cannot hear the words He speaks that seem to shake the heavens and earth or see His eyes like blazing flames, and though you cannot feel the discipline of His iron rod, you can hear from His words the fury of God and know that God shows compassion for mankind; you can see the righteous disposition of God and His wisdom, and moreover, realize the concern and care that God has for all mankind. The work of God in the last days is to allow man to see the God in heaven live among men on earth, and to enable man to come to know, obey, revere, and love God. This is why He has returned to flesh for a second time. Though what man sees this day is a God that is the same as man, a God with a nose and two eyes, and an unremarkable God, in the end God will show you that without the existence of this man, the heaven and earth will undergo a tremendous change; without the existence of this man, the heaven will grow dim, the earth will become chaos, and all mankind will live in famine and plagues. He will show you that without the salvation of God incarnate in the last days, then God would have long ago destroyed all mankind in hell; without the existence of this flesh, then you would forever be chief of sinners and corpses evermore. 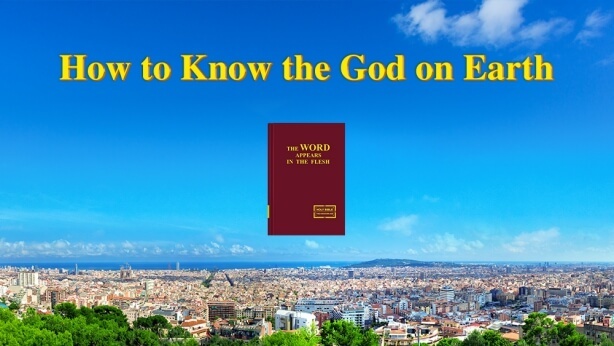 You should know that without the existence of this flesh, all mankind would face an inevitable calamity and find it difficult to escape God’s more severe punishment of mankind in the last days. Without the birth of this ordinary flesh, you would all be in a state where neither life nor death will come no matter how you seek it; without the existence of this flesh, then this day you would not be able to receive the truth and come before the throne of God. Rather, you would be punished by God because of your grievous sins. Do you know? If not for the return of God to the flesh, none would have a chance at salvation; and if not for the coming of this flesh, God would have long ago ended the age of old. As such, can you still reject the second incarnation of God? Since you can so greatly profit from this ordinary man, then why would you not accept Him readily? The work of God is that which you cannot comprehend. If you can neither grasp whether your decision is correct nor know whether the work of God can succeed, then why not try your luck and see whether this ordinary man is of great help to you, and whether God has done great work. However, I must tell you that in the time of Noah, men had been eating and drinking, marrying and giving in marriage to such a point that it was unbearable for God to witness, so He sent down a great flood to destroy mankind and left behind only Noah’s family of eight and all kinds of birds and beasts. In the last days, however, those kept by God are all those who have been loyal to Him until the end. 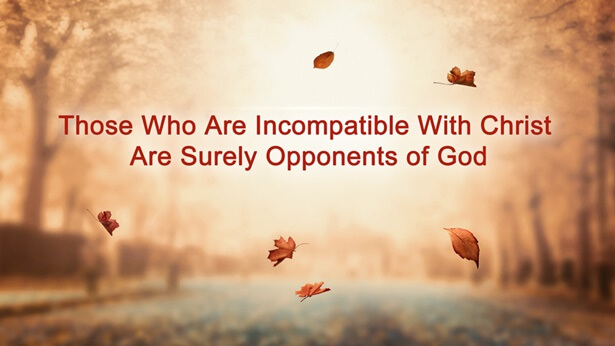 Though both were times of great corruption unbearable for God to witness, and mankind in both ages was so corrupt that he denied God as the Lord, all men in the time of Noah were destroyed by God. Mankind in both ages has grieved God greatly, yet God has remained patient with men in the last days until now. Why is this? Have you never given thought to this? If you truly do not know, then let Me tell you. The reason that God can deal graciously with men in the last days is not that they are less corrupt than men in the time of Noah or that they have shown repentance to God, much less is it that God cannot bear to destroy men in the last days where technology has advanced. Rather, it is that God has work to do in a group of men in the last days and this will be done by God incarnate Himself. Furthermore, God shall choose a part of this group as His objects of salvation, the fruit of His management plan, and bring such men with Him into the next age. Therefore, no matter what, this price paid by God has entirely been in preparation for the work of His incarnation in the last days. All you have this day is because of this flesh. It is because God lives in the flesh that you have the chance to live. All this good fortune has been gained because of this ordinary man. Not only this, but in the end every nation shall worship this ordinary man, as well as give thanks to and obey this insignificant man. Because it is He who has brought the truth, the life, and the way to save all mankind, ease the conflict between God and man, bring God and man closer together, and communicate thoughts between God and man. It is also He who has brought even greater glory to God. Is not an ordinary man such as this worthy of your trust and adoration? Is such an ordinary flesh not fit to be called Christ? Can such an ordinary man not be the expression of God among men? Is not such a man who helps mankind be spared disaster worthy of your love and for you to hold? If you reject the truths uttered from His mouth and also detest His existence among you, then what will be your fate? All of God’s work in the last days is done through this ordinary man. He will bestow everything unto you, and further, He can decide everything about you. Can such a man be as you believe: a man so simple as to be unworthy of mention? Is His truth not enough to utterly convince you? Is witness of His deeds not enough to utterly convince you? Or is it that the path He leads you on is not worthy for you to follow? What is it that causes you to feel an aversion to Him and to cast Him away and shirk from Him? It is He who expresses the truth, it is He who supplies the truth, and it is He who enables you to have a path to travel. Could it be that you still cannot find the traces of God’s work within these truths? Without the work of Jesus, mankind could not have come down from the cross, but without the incarnation this day, those who come down from the cross could never be commended by God or enter into the new age. Without the coming of this ordinary man, then you would never have the opportunity or be eligible to see the true countenance of God, for you are all ones that should have long ago been destroyed. Because of the coming of the second incarnation of God, God has forgiven you and shown you mercy. Regardless, the words I must leave you with in the end are still these: This ordinary man, who is God incarnate, is of vital importance to you. This is the great thing that God has already done among men.